Hope all is well, here are getting many new projects. Not sure if you can help with this. Client wants to 3D Print 2x of the attached model in abs plastic. Models will be for demo purposes and photos. Not functional. Let me know if you can assist. Our sales engineer answered to this enquiry and offered our best quotation to client within the following 2 hours. Client was happy about the quick action and placed the order the next day. Everything was moving as our plan, we shipped the parts on our promised date. I opened the package today . IM very impressed with the quality of your work you and your team are amazing the attention to detail is incredible. I am very amazed and I look forward to doing more work with you guys very soon thank you so much. 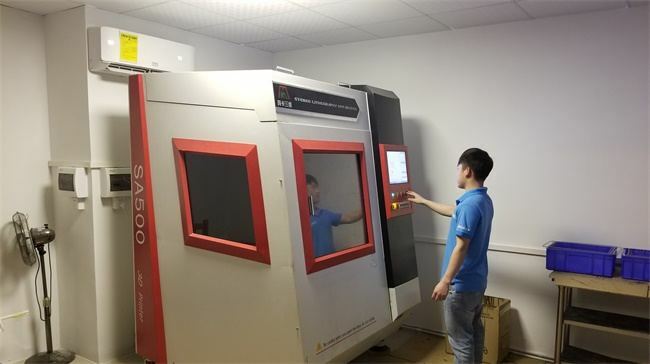 Are you looking for a reliable manufacturer for your rapid prototyping and rapid injection molding or mass production? TEAM Rapid can provide the best solution for you, contact our team at sales@teamrapidtooling.com today! How Do I Reduce Cost of Injection Molding Product? What Metal Is the Cheapest, Strongest and Lightest? I Have an Idea for a Product, How Should I Get Start?